Lovely fox suits for your baby, unisex available. 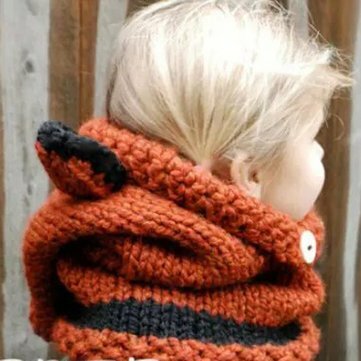 Scarf and cup suit, made of crochet material, keep your little baby warm enough in this winter. Siamesed design, comfortable and protect baby completely.